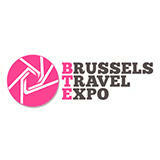 "International BT Expo Tourism and MICE Professionals Trade Show"
Brussels Travel Expo (BT Expo) is the Belgian Trade Show for Tourism and MICE professionals. This event showcases products like Tour operators, Tourist boards, Interpreters, Destination management Companies, Trade Organizations & ferries operators, Airlines & airports, Car rental Companies, Coaches, Accommodation & hotels, Railway, Service companies, Technologies, Embassies, Brokers in the Travel & Tourism industry. It was really a small expo - many tables were empty - no staff there to contact, there were just some brochures left on their tables. The expected Exhibitors and companies at Brussels Travel Expo would be: The Tour operators, Tourist boards, Interpreters, Destination management Companies, Trade Organizations & ferries operators, Airlines & airports, Car rental Companies, Coaches, Accommodation & hotels, Railway, Service companies, Technologies, Embassies, Brokers, Holiday parks, Insurances, Media Consultancy Companies, Recruitment & education, Venues, Convention centers, and Event Organizers.